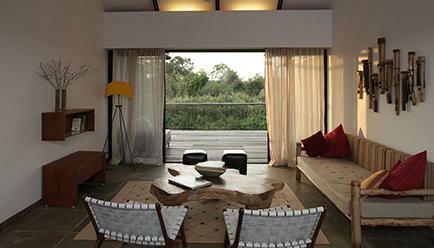 Get off the beaten path for a remarkable vacation at the KAAV Safari Lodge, Kabini that will take you to meet the unspoilt nature with breathtaking scenery. Thanks to the calm prevailing, you will have the privilege to travel in the vast wild areas where the preserved animal life is observed with respect in all tranquility. Its ideal location will allow you to admire each day the exceptional panoramas while enjoying the many facilities that will be available to you. 2 Nights Superior Room - 35 sq.m. 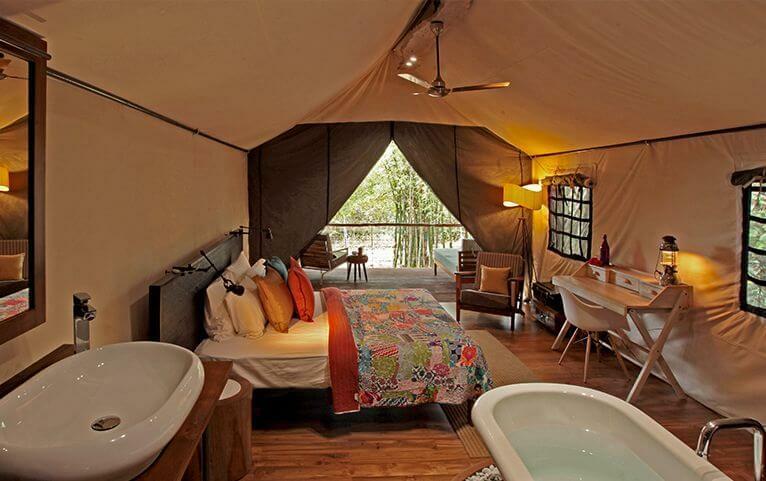 2 Nights Luxury Tent - 51 sq.m. 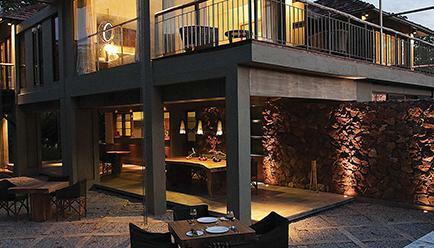 The KAAV Safari Lodge enjoys an excellent reputation, thanks to its qualified staff and the quality of its facilities. Whether you go with your family, partner or friends, this paradise in the forest will delight you and make your stay memorable. 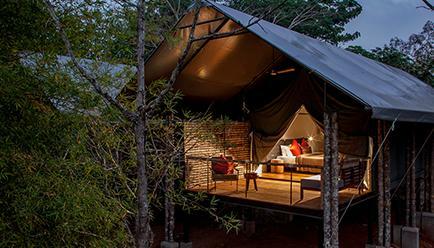 Situated on the edge of Nagarhole National Park, Kaav Safari Lodge, Kabini offers you an experience to dive into a wilderness for an authentic encounter with nature and solitude. 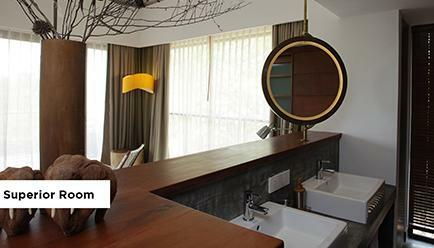 It offers stylishly decorated rooms with free Wi-Fi. 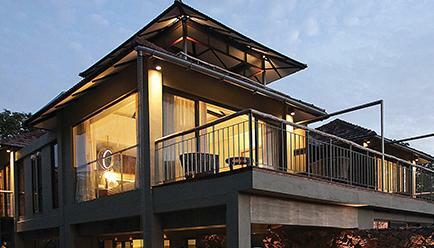 Kaav Safari Lodge, Kabini is 3.5 km from Kabini Boat Ride and Nagarhole Nature Reserve. Comfortably seated in your lodge in the heart of a lush forest, experience an unforgettable rendezvous with nature and luxury. 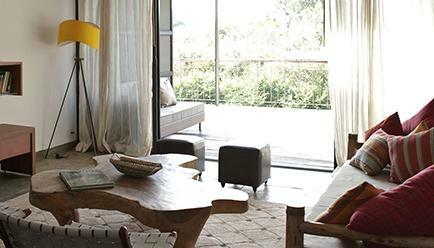 Immersed in the world of relaxation, live a spectacular tête-à-tête with the fauna from your lodge in a grandiose setting – that is KAAV Safari Lodge for you. Located ideally amongst a panoramic view, wake-up to the horizon as you watch the sun greet you while you sip your tea. 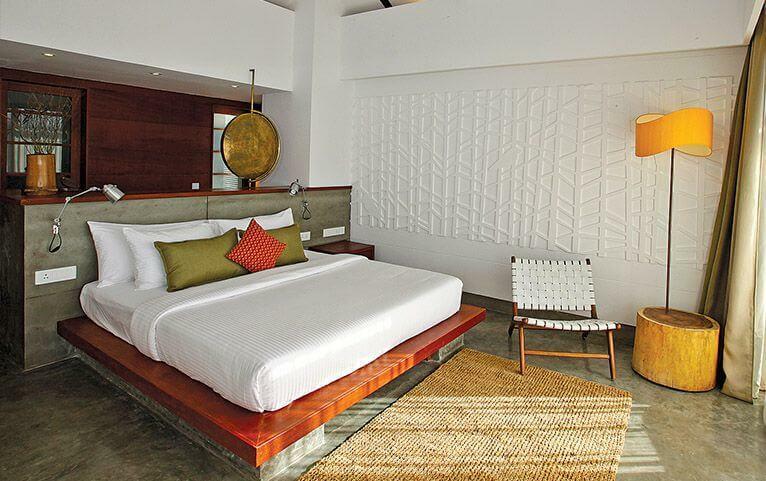 The compact yet cozy room is designed to offer you every facility that spells luxury. 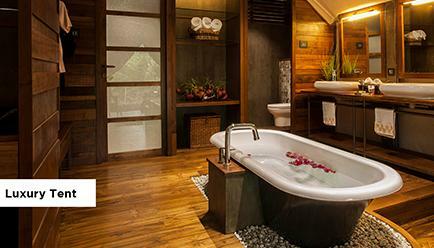 In the heart of the forest, find your abode in a glamorous tent with a bathtub and private deck to spoil you for luxury. 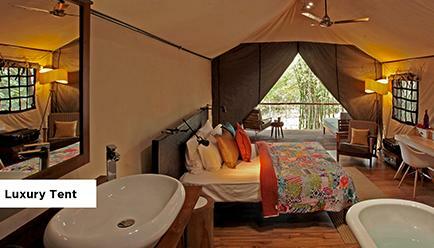 With a view of the lush green jungle, the tent is designed for a true glamping experience. Maximum Guest Capacity: The maximum room capacity is two adults and one child aged below 12 years or three adults for Superior room category. 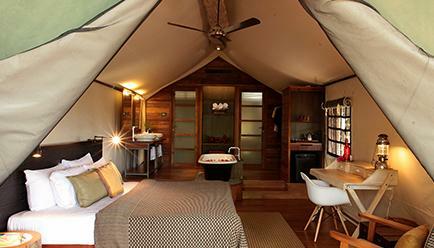 Luxury Tent can only accommodate 2 adults as its maximum occupancy. See the ‘Extra Guest Policy’ and ‘Child Policy’ for more details. 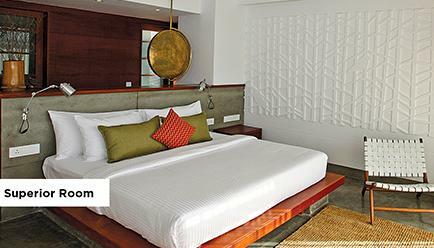 Extra Guest Policy: Where applicable, an extra adult can stay at a surcharge of INR 6,200 per night, with an extra bed and the inclusions available in the package, payable directly at the resort. 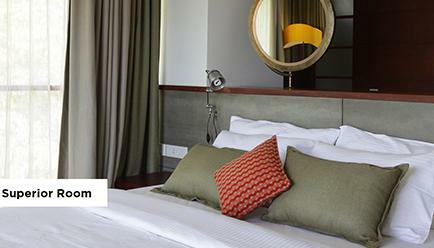 Child Policy: Where applicable, a child aged between 10-12 years may stay at a surcharge of INR 6,200 per night, which includes an extra bed and the package inclusions, payable directly at the resort. Children less than 10 years old are not allowed in the property. Wake-up call service: Have Don’t stay up all night for an early morning flight. The wake-up call service will ensure you don’t miss your flight. Doctor on call: Medical situation or discomfort? The resort has a doctor on call available to help you with both consultation and medication. 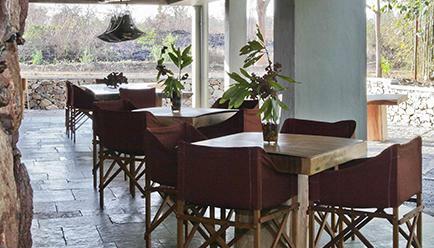 Dining: At the KAAV safari Lodge, the multicuisine restaurant will be at your disposal for you to discover an incredible palette of flavors and offer a variety of dishes daily. Buffet, pizzeria or seafood will be part of the culinary adventure. Let your desires guide you. Alfresco Dining area- Where all the meals are served. Dedicated space for your comfort. 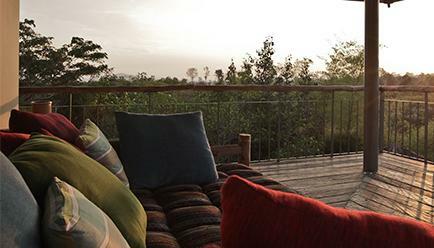 Viewing Deck- Dedicated space for bird watching or just the beautiful sight. Other features: The Kaav Safari Lodge is full of various activities and facilities dedicated to your well-being. While in the area, why not take the opportunity to relax in the open air by testing bird watching or observation of fauna and flora? These two hobbies are very popular with both holidaymakers and locals alike. Or you can just laze around and appreciate the coolness of swimming pools of the hotel. 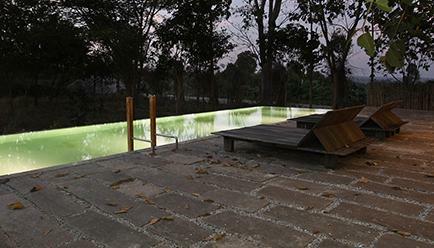 The Lodge is located 80 kms from Mysuru. You can take a flight to Bangalore or Mysuru. Private cabs are available to the location. You can reach Mysuru through Bangalore if you are travelling from Mumbai or Delhi. Mysuru is 144 Kms away from Bangalore. Trains are available from all the major metro cities to Mysuru or Bangalore.